Stand up comedian, comedy improviser, actor and co-founder of The Bankers Stand Up Comedy Club and The Craic Pack Comedy Improv, Peter has performed weekly shows every Friday and Saturday night since 2003. As resident MC at The Bankers Peter has developed a very familiar and friendly style of emceeing and stand up routine that appeals to an international audience. A regular on the Irish comedy circuit Peter performs at The Laughter Lounge, The International, The Wool Shed, etc, along with The Bulmer’s, Kilkenny Cats & Kinsale comedy festivals etc. Among Peter’s TV acting credits are “Happy Ever After”, Pat Shortt’s “Killinaskully”, “Badly Drawn Roy”, “The Clinic”, “Fair city”, “Legends”, “Isidingo” etc, with theatre credits including “The Odd Couple”, “Up Staged”, The Drowning” and “Only Make Believe”. 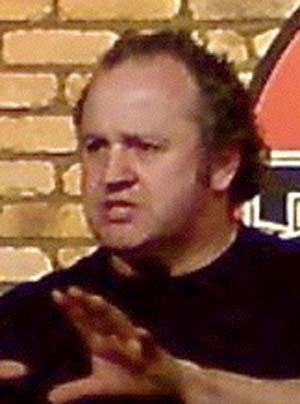 In 2010 Peter hope’s to perform at the Edinburgh Festival with The Craic Pack Comedy Improv.